Israeli UN Amb. 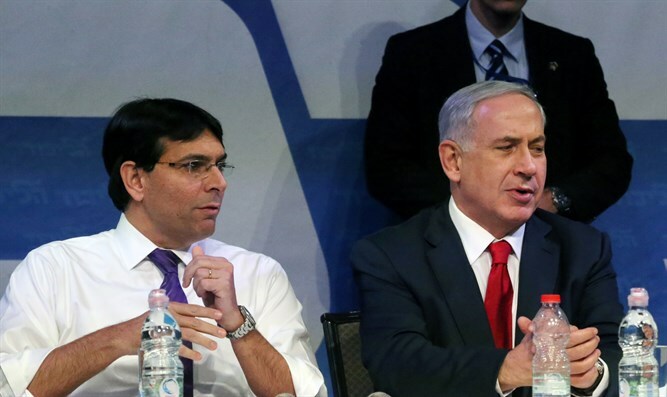 Danon, PM Netanyahu, say Iran proved Israeli warnings correct, promise not to tolerate violations of Israel's sovereignty. Israeli Prime Minister Binyamin Netanyahu responded on Saturday night to the escalation along the Israel-Syrian border. Early Saturday morning, an Iranian drone entered Israeli airspace from Syria, remaining in Israel some 90 seconds before the IAF shot it down. In response to the provocation, Israel attacked the drone's command center. During the IAF operation, Syrian surface-to-air missiles downed an Israeli F-16I fighter jet. "I have been warning for some time about the dangers of Iran’s military entrenchment in Syria," Netanyahu said in a statement. "Iran seeks to use Syrian territory to attack Israel for its professed goal of destroying Israel. "This morning Iran brazenly violated Israel’s sovereignty. They dispatched an Iranian drone from Syrian territory into Israel. And this demonstrates that our warnings were 100% correct. "Israel holds Iran and its Syrian hosts responsible for today’s aggression. We will continue to do whatever is necessary to protect our sovereignty and our security." "Israel wants peace but we will continue to defend ourselves with determination against any attack on us and against any attempt by Iran to entrench itself militarily in Syria or anywhere else," he added, noting that he had spoken with US Secretary of State Rex Tillerson. Meanwhile, Israeli Ambassador to the United Nations Danny Danon on Saturday evening sent a sharply-worded letter to members of the United Nations Security Council. "This is not the first time that we have warned you of Iran’s dangerous actions that undermine the situation in our region," the letter read. "This incident proves every one of those warnings correct. Israel will defend its citizens and will not tolerate any violation of its sovereignty." "I call on the Security Council to condemn this dangerous act and to put an immediate end to Iranian provocations. "Security Council members must not stand idly by while Iran is instigating dangerous escalations and violating Security Council resolutions."